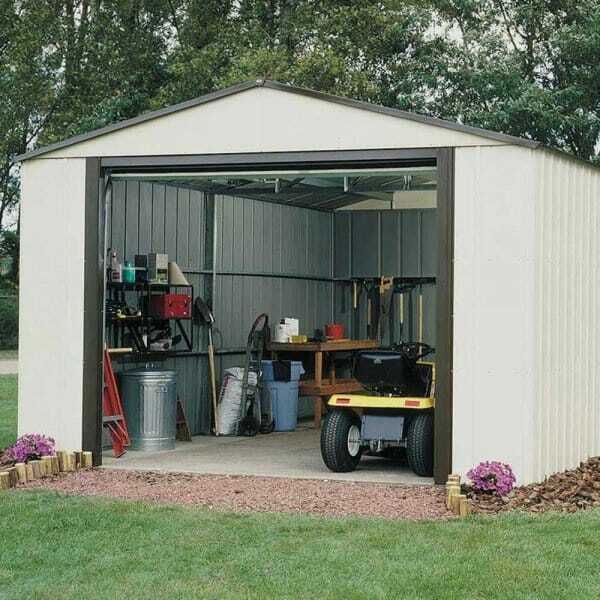 Rowlinson Murryhill Steel Garage : The Rowlinson Murryhill Steel Garage is available in four sizes to suit all requirements. This sturdy and long lasting garage from Simply Log Cabins can easily be used for storing cars, tractors, motorcycles and any of the many uses that garages are put to. The Rowlinson Murryhill Steel Garage can also be converted in to a large workshop which would be extremely secure, very simple and easy modular construction.